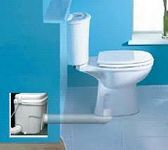 Occasionally, a toilet or even a sink needs to be installed below the nearest sewer or septic line, and the waste from the drain must be lifted to the level of the main drain. A sewage ejector pump solves this problem and is used when wastewater cannot flow to its destination by means of gravity at a velocity of at least 2 feet per second. Quality built sewage ejectors, maintenance free 10 year warranty, built to last 20 to 40 years. Best Sewage Ejector pumps can fit existing installations without piping changes. the final plumbing drain, and the water hookups. Quiet, leak-proof, and odorless. You'll also have the confidence of knowing it was installed properly by an experienced professional. Whatever you need Best can help. Class: There are two classes of submersibles sewage ejector pump, the smaller pump is used in home and light commercial, and larger pumps for large commercial buildings and municipal wastewater systems. Size: The farther the distance the waste must be lifted, the more powerful the pump must be to do the job. A whole-house system must be larger and more powerful than one that services only one toilet. Residential sewage ejectors normally handle up to 2-inch spherical solids and range from 1/3 to 2 horsepower and are available in two types, non-clogs and grinders. Non-clogs pump high volumes and can handle solids from 2 inches through 4 inches and are used both in residential and municipal lift stations. Some cutting of concrete will be involved in basement installation as well as digging down a few feet will add to the cost as well as the difficulty of installation. 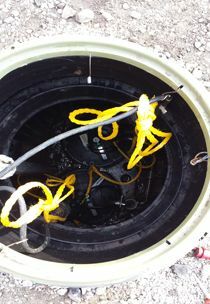 Call an experienced plumber for proper sizing and installation of a sewage ejector pump system. 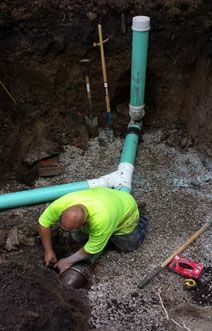 Call Plummer Enterprises at 419-740-7126. We are the preferred installer of Saniflo products in Northwest Ohio. Often times a home or facility is limited to where toilets, sinks or showers can be installed due to the layout of plumbing. Saniflo's line of macerators and pumps give you the opportunity to install bathrooms or kitchens where once thought impossible! Saniflo has much to offer home and business owners in Northwest Ohio, for bathroom, kitchen and laundry room applications. Call Plummer Enterprises., Ltd. today for a quote for your remodel bathroom project on Saniflo in your Northwest Ohio home or commercial facility today at 419-740-7126. For a LIMITED TIME ONLY Plummer Enterprises is offering excellent deals on Saniflo Installations in Northwest Ohio! Get $250.00 OFF Full Bathroom Saniflo Installation. Call 419-740-7126 to redeem the offer today! Saniflo macerator units are small motorized macerators that are designed to quietly pulverize toilet paper and human waste into a fine slurry before pumping it away. The pulverization of waste and water that is moved through the toilet, sink or shower is crucial. The product of the maceration process is a fine slurry, which then allows the Saniflo pump to move the waste to its correct destination of removal. The Saniflo pumps will elevate the waste slurry through a series of small pipes, leading it to the same soil stack, septic tank or sewer the rest of the waste from your regular plumping is drained to. These units are easy to install, and can often times be hidden when installed behind the wall. 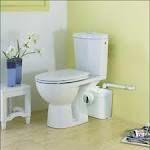 In some cases the Saniflo macerator can only be used with the installation of a Saniflo toilet also. All installations and applications of Saniflo sinks, Saniflo toilets and Saniflo showers are different. Plummer Enterprises offers FREE In-Home Saniflo consultations, so you can find out firsthand what Saniflo products have to offer you and your home. Call us today at 419-740-7126 and ask to schedule your Saniflo Consultation today! Call 419-740-7126 for more information on Saniflo in Northwest Ohio today!